Several years ago, I was a volunteer organizer with MoveOn and we had just finished campaigning to get the affordable care act passed. At the time, our focus was on the most pressing issue facing our democracy—corporate influence in government. This was before Occupy Wall Street, and while we knew what the problem was, the path forward in terms of how to stop corporate influence in our government wasn’t clear. Should we go after the banks and Wall Street? 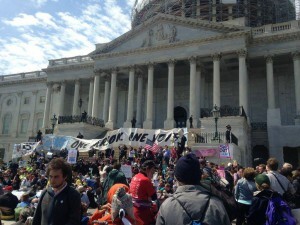 Should we instead turn our efforts towards overturning Citizens United? Without a clear consensus between advocacy groups, a strategic path forward wasn’t really apparent. But that wasn’t happening. Instead fracking was getting the cover of some of my favorite elected officials, including President Obama, who I had worked to get elected. Worse than that, after several studies Obama’s EPA conducted had preliminary findings that fracking was linked to water contamination – something unsurprising to the people of Pennsylvania and other places where fracking was going on – the studies were suddenly, and mysteriously shut down with no explanation. One of those studies found benzene at over 50 times the allowable level. If this was what we were finding with a handful of studies, what else lay beneath, where 40,000+ new fracking wells were being drilled each year? 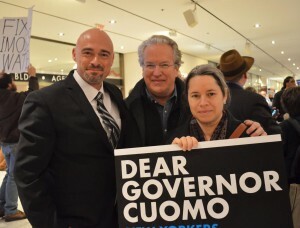 The good news is that the people of New York weren’t dummies, and even if our federal government was going to be duped by big money’s charm and coercion, we weren’t. We understood the science, and we knew that the catastrophic rates of well casing failures meant that the toxic contaminants couldn’t be contained and would be likely to cause contamination. And that’s why we fought it – the science was really clear. And what happened in New York was an amazing thing. It was as if the state of New York deputized hundreds of thousands of normal everyday people who up until then had been going about their lives, and turned them into powerful water warriors to stop fracking. And we won. We forced our elected officials to listen to the independent science and the will of the people, rather than the big money of the corporations. And contrary to the naysayers – many of them our friends – who told us we’d never beat big money – “They’re too powerful,” they’d tell me – we proved that nothing was impossible, and sometimes when you fight on the side of right, you can win. 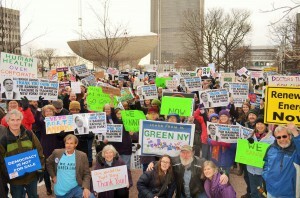 And now, friends in New York – and all my antifracking allies everywhere – we’re getting called to action again. 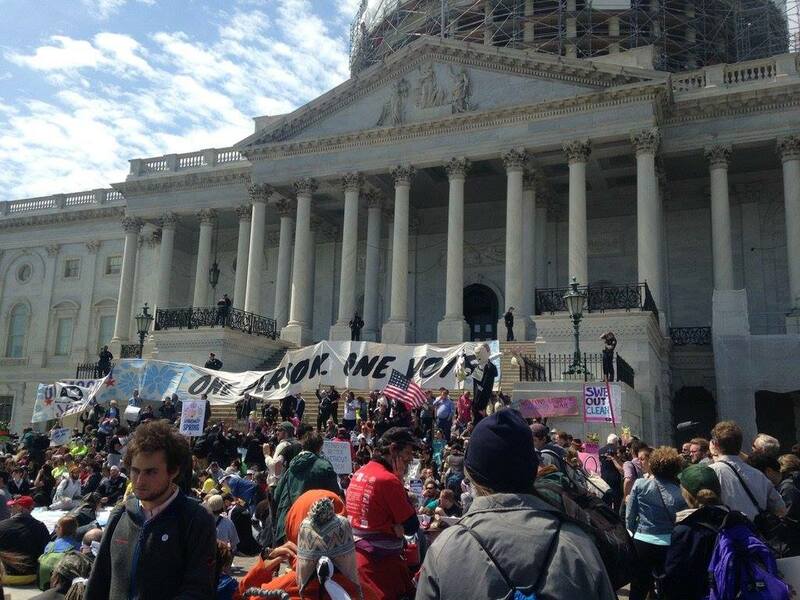 Join us this week in Washington DC for Democracy Spring and Democracy Awakening. This Saturday we’ll be rallying, and then sitting in together and risking arrest because while we killed one of the heads of the giant hydra by banning fracking in the state of New York, this ugly beast continues to grow, and more heads are appearing in the form of pipelines, compressor stations, power plants, and other dangerous forms of toxic energy. Not only that, but places like Pennsylvania, Ohio, Colorado and West Virginia continue to be ravaged by this fracking beast. And until we get to the root of the problem, and stop corporate influence in government, the dilemma will never be solved. So join us! If you don’t want to risk arrest on Saturday, you don’t have to, we need people there to participate with the rally, and support the action. And for the complete schedule of events, transportation and other information click here. Join us and be a part of this historic moment! David Braun is a co-founder of Americans Against Fracking and New Yorkers Against Fracking, and recently relocated back to his home state of California to fight fracking and toxic oil and gas practices. Working closely with Californians Against Fracking, a coalition of over 200 organizations, David co-founded Rootskeeper, a non-profit project which facilitates grassroots action and builds power. As a part of this ongoing work, David has been organizing with grassroots activists, health professionals and faith leaders, and recently directed the film Faith Against Fracking which has been screening in places of worship as well as film festivals. While in New York, David founded and worked with several grassroots anti-fracking organizations including United for Action, Sane Energy Project, among others and helped design and implement the successful campaign which banned fracking. Previously, he was the grassroots coordinator for the films, GASLAND and GASLAND II. Before working on the fracking issue, he organized with MoveOn and has also engaged with numerous other social, environmental and economic justice campaigns. And before hearing the call to save the planet, David was a partner in a successful events business in NYC.